Tuesday, February 18 1908 -- The Chicago White Sox are coming out to California to play a series of spring training games against the Angels and other teams in the Pacific Coast League. Let's keep expanding this list -- please let me know of other sites you've found. Regarding the Google Newspaper Archive, you can browse their selection of newspapers here. Thank you thank you thank you Joshua!!! I knew there had to be a list SOMEWHERE! Looking through the list, surprised how many French Canadian papers they have. Interesting to know that Google wasn't being Anglo-centric with their archive. Now if you can tell me how to run a search on their archive that actually RETURNS SOME HITS I'll be beyond impressed. The digitization of the papers is so bad they obviously couldn't OCR much in them! 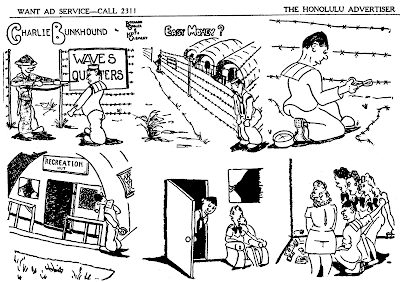 I run searches on stuff I know darn well is in their archive and usually it's "0 Results Found"
Glenn Foden, an editorial cartoonist whose work appeared in a chain of weekly papers in Maryland for many years, created Against the Grain for the Los Angeles Times Syndicate in 1996. 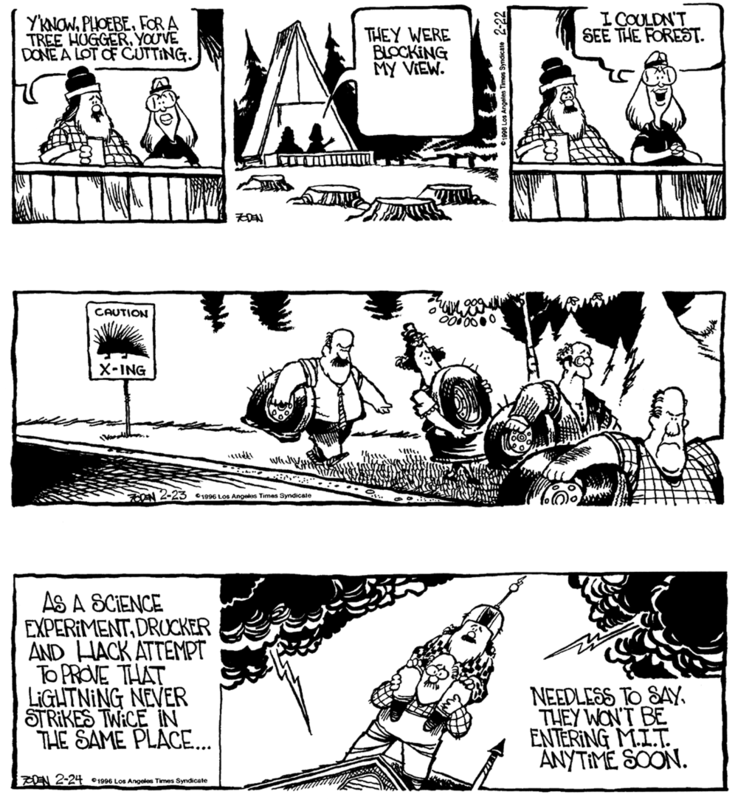 The strip was about the residents of Millandsprocket, a town whose economy depends on logging and tourism. The lumber industry was very much in the news at the time, so the subject matter was opportune. 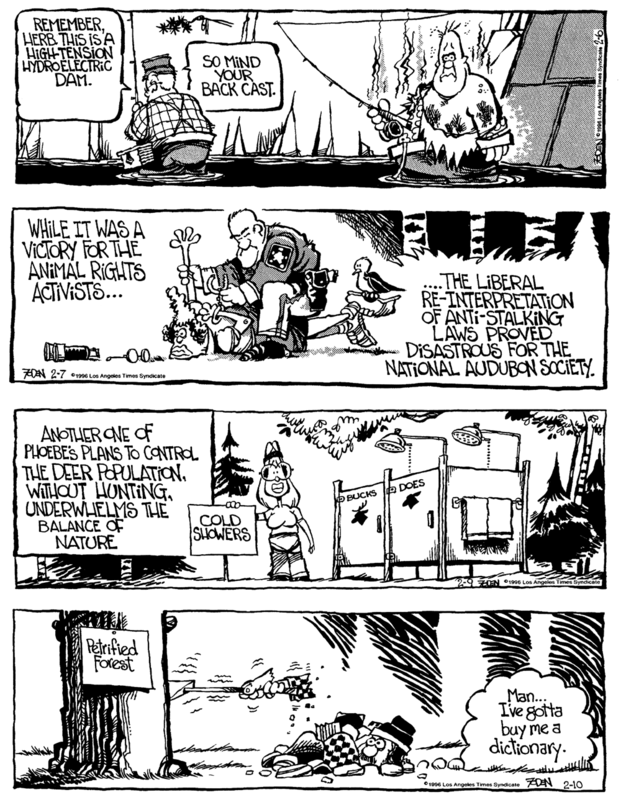 The strip made fun of environmentalists, dim-witted lumberjacks, crusty colorful locals and tourists. Given that Foden is a right-winger, the tree-hugging Phoebe Geebies endured some of the more pointed jabs while the lumberjack Wilson LeHack was portrayed as a well-meaning good ol' boy dufus. 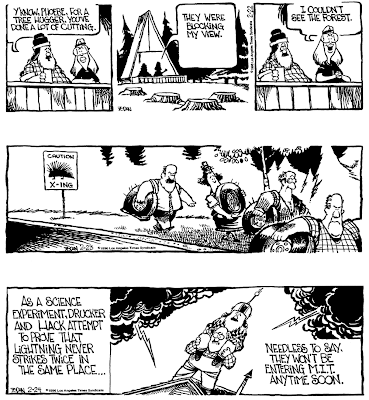 The strip's logo, showing a proudly beaming LeHack, chainsaw in hand, next to a gargantuan stump, showed where Foden's sympathies lay, though the strip was rarely overtly political. One of Foden's recurring subjects was roadkill, which made for some rather nauseating gags. Other than that miscue, the strongest material was about tourists, a group about which those of all political strips could enjoy a chuckle. The fortunes of Against the Grain seemed to rise and fall with the newsworthiness of the lumbering industry. The daily strip began on January 1 1996, added a Sunday on December 6 1998, and then was cancelled sometime in 2000 (anyone know the exact date?). Saturday, 28 October 2000 was the exact last date! August M. "Gus" Edelstein was born in Ohio on September 20, 1898, according to his World War I draft card; the 1900 U.S. Federal Census said he was born in September 1899. He was the only child of Max and Emma; they lived in Cincinnati, Ohio at 1027 Mound Street. Edelstein has not been found in the 1910 census. The date of the family's move to New York City is not known. He signed his World War I draft card on September 12, 1918. He was a student at Pratt Institute, and lived with his parents at 1338 Bergen Street in Brooklyn, New York. His description was medium height, slender build with gray eyes and dark hair. Edelstein has not been found in the 1920 census. According to the 1924 Editor & Publisher Syndicate Directory, Edelstein created the strip Lottie Pep for the New York Evening Graphic that year. No samples of this strip are available for display, though Jeffrey Lindeblatt has confirmed its existence in microfilm of that newspaper. Edelstein also did illustrations for newspapers for the Metropolitan Newspaper Service, such as this one found in the Portsmouth Daily Times (Ohio) November 11, 1924 issue (see below). In the 1930 census Edelstein was married to Gladys and had two children. His occupation was newspaper cartoonist. He married Gladys when he was 23 years old. They lived in Brooklyn at 231 Ocean Avenue, about half-a-mile from his parents. Also in the same apartment building, apparently next door, was Charles R. Macauley. Maybe it was coincidence; both cartoonists were born in Ohio and that was about all they had in common. Additional information about Edelstein has not been found. What do You think about it? Do You think that's possible? It's unfortunately not infrequent that a new feature gets syndicated before the creator has really found his or her creative footing. Bumgardner is a good example of that. 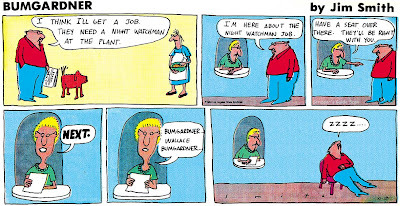 When it first came on the scene in 1984, the strip's gags were clunky and the characters were defined a little too quirkily. By the time Jim Smith had ironed out the character kinks and gotten his gag-writing on track the strip was on the chopping block. These days syndicates have really begun to address that. No more do you get a syndicate contract as an unknown based on a couple weeks worth of sample strips -- new creators are usually signed to long-term development contracts, where they produce their features on a daily schedule for the purpose of seeing where the feature goes, what works and doesn't work, and to fine tune as necessary. Too bad this only came into vogue about eighty years later than it should have. 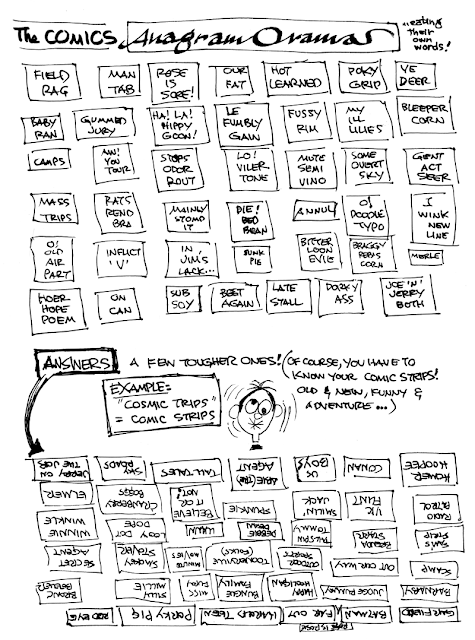 Most of the samples above are from the final year of the strip, when Smith was really hitting on all cylinders. I included so many because practically every one I looked at seemed to make the cut as chuckle-worthy. The strip has a very simple premise -- Wallace, Laverne, Leonard and dog Spike are a houseful of rather dopey suburbanites who deal with everyday life. Their familial relationships are prone to be obscure -- sometimes Leonard is a grandson, sometimes a son. No matter; once Smith had hit his stride we didn't need to know the background of their relationship to get the gags. The strip is by Jim Smith, of whom I know nothing. There is a Spumco animator of the same name, but I can find no indication that they are the same guy. In fact I can find not a word of information or comment anywhere about either Smith or his creation. All I know is that it was syndicated by the LA Times and ran at least from June 3 1984 to June 23 1986. Some papers ran it as Baumgardner, apparently a little modest about that first syllable. Can http://jimsmithcartoons.blogspot.com/ be related? Also from LA. I sent an email to 'this' Jim Smith. We'll see what he has to say. If I don't hear from him and update the posting I think we can assume they're two different guys. Ha! Guilty as charged. My sister passed this along to me, and yes, I'm the Jim Smith that did "Bumgardner", (not Spumco). A very thoughtful blog on my early cartoon career. Thank you! 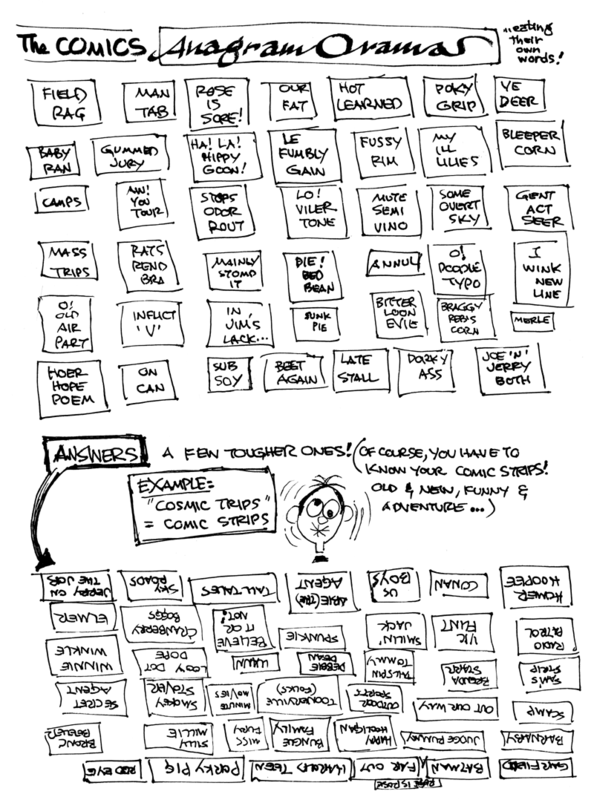 Thanks for visiting, and taking my somewhat critical evaluation of the strip with good humor. We here at Stripper's Guide would love to know more about the strip and your experiences being syndicated, and also what you've been up to since then. Do I have the running dates of the strip correct? Did you do any other newspaper series? I was a writer/editor at the Los Angeles Times when Bumgardner debuted, and liked it so much -- especially Spike, who reminded me of our beagle -- that I bought an original from Jim Smith, who inscribed it with 'thanks for the EARLY vote of confidence.' I was very sorry when the LAT Syndicate (whose judgment was often dubious)dropped the strip, but am pleased to learn that Jim Smith persevered and prevailed. Morris Nolten "Morrie" Turner was born in Oakland, California on December 11, 1923, according to Who's Who in the West (1980). In the 1930 U.S. Federal Census, he was the youngest of four children born to of James and Nora. The family lived in Oakland, California at 1310 Eighth Street. His father was a porter for the Pullman Company. The U.S. World War II Army Enlistment Records show Turner enlisted on February 5, 1943. Who's Who in the West said he served with U.S. Air Force from 1943 to 1946. He married Letha Mae Harvey on April 6, 1946, and they had a son, Morris Arnold. Turner was a police clerk at the Oakland Police Department from 1950 to 1964. Ebony magazine profiled him in its October 1961 issue. The profile was illustrated with several cartoons; a sample of the strip, The Incredibles, under the pseudonym Gemo; and many photographs of Turner at home, at work at the police department, and with colleagues in the comics business. 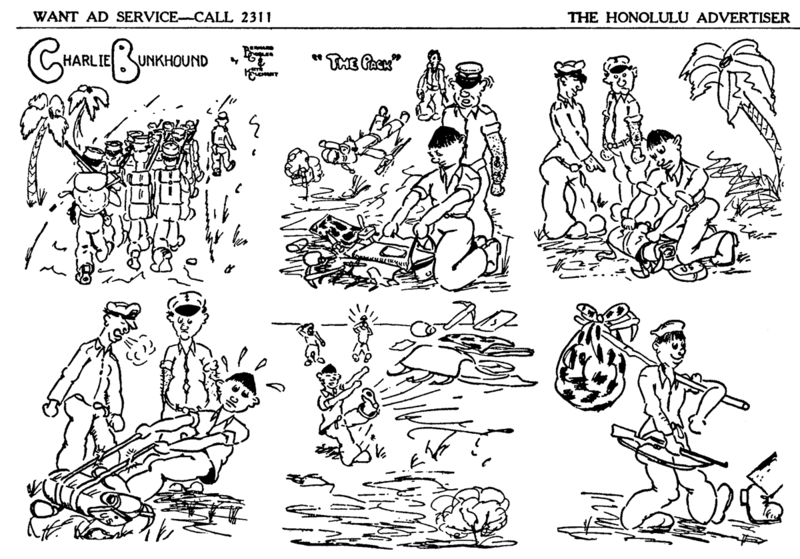 His strip, Dinky Fellas, was created in the early 1960s. 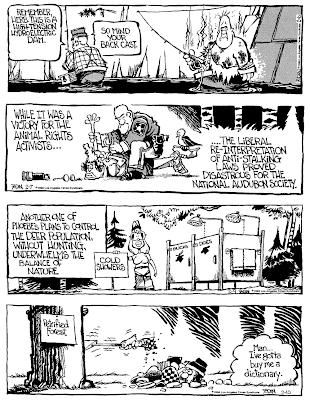 The strip was reworked into Wee Pals, which was syndicated by the Register and Tribune Syndicate. On October 10, 1970, The Afro-American (Baltimore, MD) profiled Turner, on the release of his book, Nipper. He authored several more books including Nippers Secret Power (1971), Black and White Coloring Book (1971), Willis and Friends (1972), and Kid Power (1972). Kid Power, based on Wee Pals, was turned into a half-hour animated ABC series in 1972. Who's Who in the West said he taught cartooning, from 1971 to 1972, at Laney College in Oakland and San Mateo College, in California. He was a member of the National Cartoonist Society, the Magazine Cartoonist Guild, and Northern California Cartoonist and Gagwriters Association. Ebony magazine profiled him once again in its February 1973 issue. A Turner bibliography and exhibition list is available at the African American Visual Artists Database. Biographies of Turner can be read at PRWeb, and in the book, African Americans in the Visual Arts (2003). The Morrie Turner Collection is housed at the Syracuse University Library. The website biography said, "As of 2009, Morrie Turner lives in California…"
During World War II newspapers in areas where troops were stationed sometimes added local content by the soldiers. 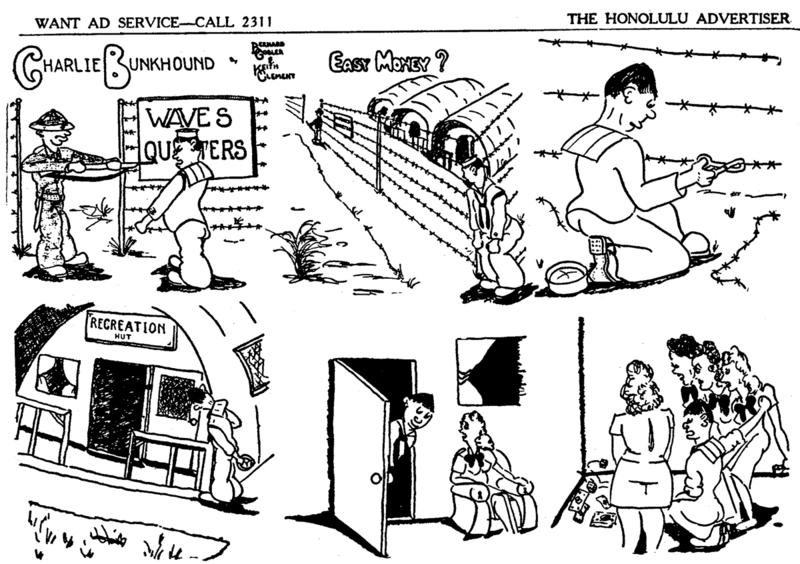 Naturally Honolulu was a nexus for this sort of feature. 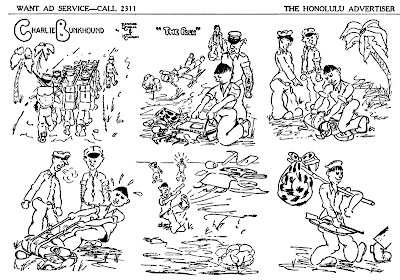 We've already covered one such feature, The Seabees, and here's another, Charlie Bunkhound. The strip ran on Saturdays and seems to have replaced Sad Sack, which had earlier occupied the same spot in the paper. Charlie Bunkhound, which I gather was consistently pantomime, was credited to Bernard Gobler and Keith Clement, who I'm assuming were stationed at Pearl Harbor. I don't know who was the writer and who the cartoonist. Cole Johnson, who furnished the samples and all the info, tells me that the feature ran at least January through April 1945, but may have lasted longer.